Terry Glavin: In The Days After Saint Patrick. Further to this post and this essay in yesterday's Vancouver Sun, the thing to do is just get yourself out to the ragged coasts of Kerry’s Dingle and Iveragh peninsulas and West Cork’s Beare Peninsula, Sheep’s Head, Mizen Head and Roaringwater Bay. If you fly into Cork City, all the better. From Dingle, a car ferry will connect you to Valentia Island, which is also accessible by road and bridge at the end of a couple of hours’ drive around the emerging surfing paradise of Dingle Bay and through some of the most heartbreakingly beautiful countryside in the world. Either way, put yourself on the mainland side of the Valentia Island bridge in the village of Portmagee, home to several excursion-boat charters out to Skelling Michael (best information source: www.skelligexperience.com). Good sea legs and calf muscles will come in handy for the trip out to the island and the hike up to the monastic site. I met a 70-year-old nun at the top once, but she was seriously fit. There’s a surfeit of B&Bs in Portmagee so here’s a tip: Try to get lodgings at The Moorings. At the very least you’ll want to stick around in the evenings for the Moorings pub’s all-local traditional music sessions. 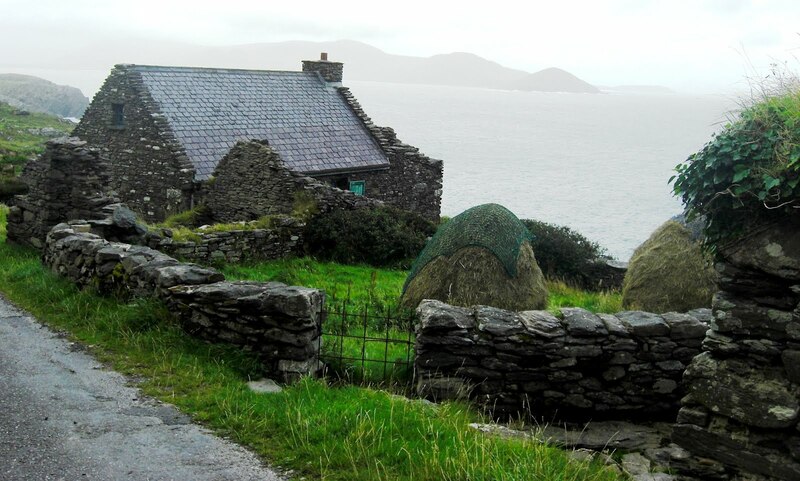 From Portmagee, you could spend half your life or half a day getting to Baltimore in West Cork for the whale-watching boats and ferries to the islands of Roaringwater Bay. En route, the ancient world breathes out of the very ground in thousands of standing stones, megalithic tombs, famine-era ruins, ring forts, boulder burials, raths, early Christian monastic sites and stone circles. Baltimore is a grand town, besides, but from Baltimore there are regular ferries to several islands, occupied and otherwise. Apart from Sherkin and Cape Clear Island, there’s Inis Ui Drisceoil, also known as Hare, also known as Heir, which is splendid for day hikes, cycling and kayaking. A good internet resource is Baltimore’s own website: www.baltimore.ie. Even if you prefer just roving about the southwest back country on foot, the person to know is John Ahern at Southwest Walks Ireland (www.southwestwalksireland.com).